Every winemaker knows that great wines are made in the vineyard and that he or she should do everything possible to work with the vineyard owners to produce premium grapes. 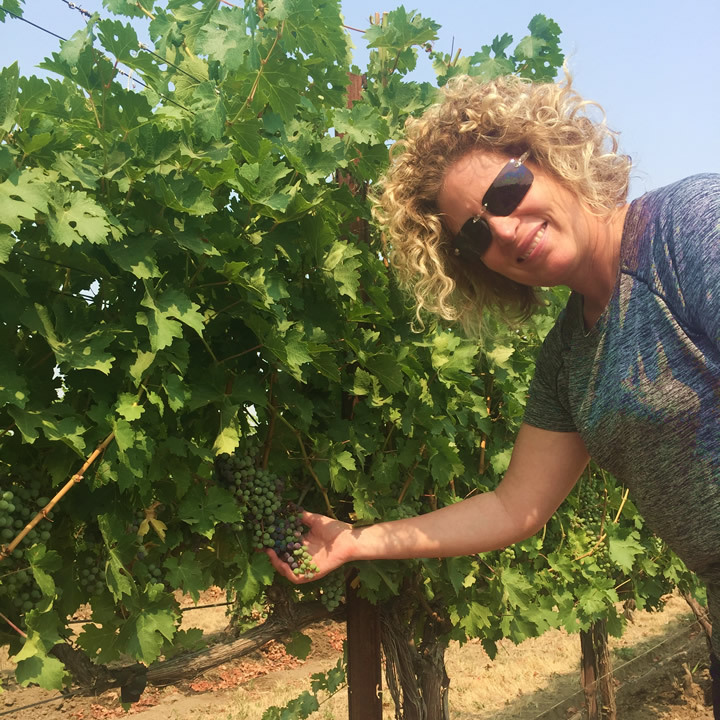 Winemaker Holly Turner has been fortunate to have worked with fruit from nearly all parts of the vast Columbia Valley Appellation, thus developing a winemaking philosophy which is well suited to our area. Each growing area in the Columbia Valley has its own unique characteristics that contribute to making the wines distinctive. The French use the term “terroir,” which refers to the factors at each growing site that contribute to making the wines unique. These factors include the soil type, irrigation management, canopy management, cropping levels, and overall climate. Occasionally, the grapes from an individual vineyard will be of such superb quality that they warrant being bottled separate from other vineyards to showcase the resulting wine. Holly strongly believes that the blending of grapes from several different vineyards will most often result in the most superb wines possible. At Three Rivers Winery, we utilize blending to maximize wine quality whenever warranted. Blending of wines is analogous to cooking with herbs. When used alone, fresh herbs can enhance the flavor of most foods, but when several herbs are used in combination they can result in a superb culinary dish. Three Rivers uses wine grapes from many different areas within the Columbia Valley Appellation, including high quality vineyards in both the Lower Columbia and Walla Walla Valley sub-Appellations. Several of these vineyards were recently planted and will not produce a usable crop for several years. We continue to source grapes from a wide array of vineyards in several diverse geographic zones to deliver the highest quality wines. When one thinks of the vineyards which have contributed to the success of the Washington wine industry, Sagemoor Vineyard is on everyone’s list. Having grown vinifera grapes for many years, this vineyard has contributed to many wines, some of which have received worldwide acclaim. Three Rivers receives Chardonnay and Malbec from Sagemoor. One of the oldest vineyards in the Columbia Valley, this vineyard was originally planted by Don Mercer in the 1970s. Managed by Paul Champoux since 1989, this vineyard is the source of grapes for some of Washington’s most widely acclaimed wineries. Three Rivers is fortunate to receive some outstanding Cabernet Sauvignon and Merlot from this site. Under common management of the Sagemoor group, Bacchus is located outside of Pasco on southwest facing hillsides with dramatic views of the Columbia River below. 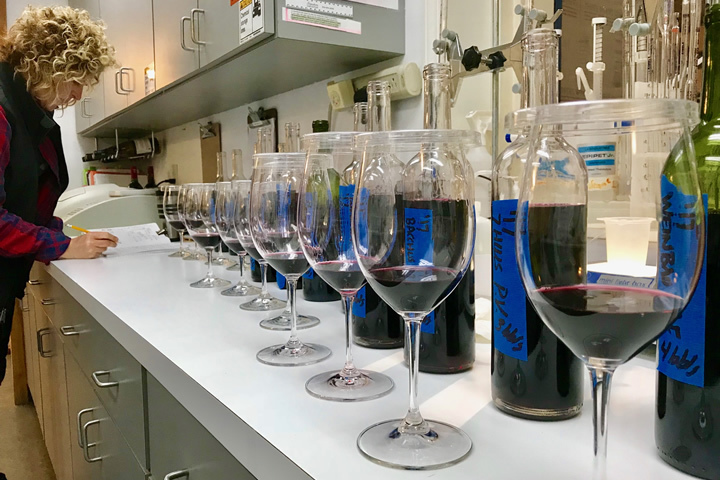 Three Rivers’ actively participates in viticulture decision-making within our preferred blocks to ensure the quality of our own personal flavor profile goals. Some of our finest Chardonnay, Riesling, Cabernet Sauvignon and Merlot come from Bacchus. Also managed by the Sagemoor group, Weinbau is located on the Wahluke slope above the Columbia River near Mattawa. Three Rivers gets some of our Chardonnay, Cabernet Franc and Merlot grapes from Weinbau and we are assured it is produced at the highest of qualities. When Gamache first planted in 1982 there were less than two dozen wineries in Washington State. Nearly 30 years of grape growing has given the brothers an appreciation for the unique expression of the site. By gently nurturing their vines in keeping with the climate, soil and rhythm of the seasons, Bob and Roger grow grapes with pure varietal character and a sense of place. Three Rivers receives Chardonnay, Sauvignon Blanc and Malbec from Gamache Vintners. Minnick Hills Vineyard lies 2 miles north of Walla Walla at the point where the valley transitions to rolling hills. This is a perfect site for some of our red varieties including Cabernet Sauvignon and Merlot because of the soil diversity which includes volcanic ash that was deposited following the eruption of Mt. Mazama thousands of years ago. Klipsun Vineyard is located on the southwest slope of Red Mountain at the extreme eastern end of Yakima Valley. They are known to grow some of Washington State’s highest quality wine grapes, and named by Wine & Spirits Magazine as one of the Top 25 Vineyards in the World. Three River’s receives Cabernet Sauvignon from Klipsun. Seven Hills was one of the first commercial vineyards in the Walla Walla Valley AVA, first planted in 1980 and then expanded in 1989, which now covers more than 200 acres. The yields of the vines are strictly controlled to assure ultra-premium quality. 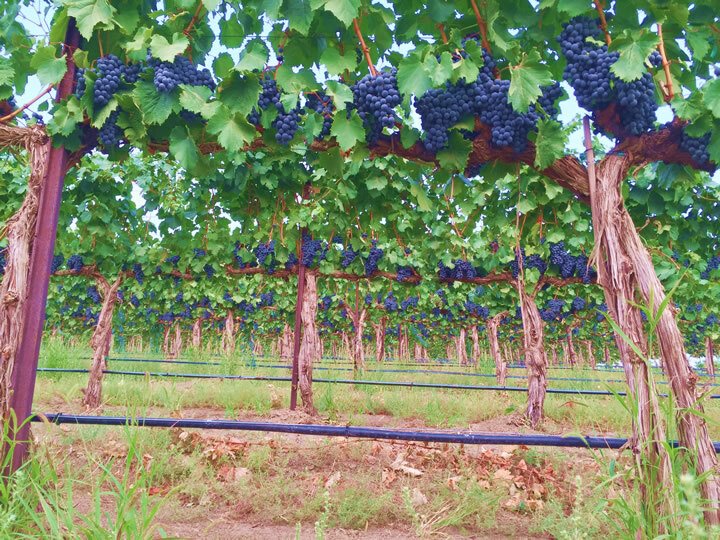 Some of our Cabernet Sauvignon and Petit Verdot come from these highly regarded vineyards. Seven Hills West Vineyard is the oldest vineyard planting in the Milton-Freewater area. Started 1982 by the “vineyard pioneer” Hendrick’s family, it sets in the picturesque foothills of the valley. It is currently owned by Premiere Partners and is farmed by Tom Waliser. These Syrah grapes are some of the most sought after grapes in the valley. Rosebud Vineyards, established in 1979, is one of the earliest to be planted on the Wahluke Slope. Family owned and operated for three generations, they are genuinely invested in Washington State’s wine industry. Location is essential and their vineyard location is one of the driest, warmest sites in the state. This is why they produce such wonderful Sangiovese and Malbec for Three Rivers. Pepper Bridge Vineyard is one of Pepper Bridge Wineries two estate vineyards located in the Walla Walla Valley Appellation. The original 10 acres were planted in 1991. Pepper Bridge Vineyard has gained an outstanding reputation with winemakers throughout the state of Washington and especially the Walla Walla Valley. Tom Waliser has been the Vineyard Manager since its inception. Three Rivers receives Syrah and Merlot from them. Located on the Wahluke Slope, Sundance has a slight northerly slope which lends to a cooler site in a very warm growing region. Slopes are 18 inches of sandy loam over a deep layer of coarse dark gray sand providing good soil drainage. This vineyard was planted in 1997 with 72 total acres. Sundance produces high quality Merlot for Three Rivers. Les Collines (The Foothills) is one of the higher vineyards in the Walla Walla Valley sitting at the base of the Blue Mountains, with an upper elevation of 1,380 feet. Soil Moisture and weather data is recorded around the clock, producing high-end Merlot for Three Rivers. Wooded Island Vineyard’s is one of the most scenic and beautiful vineyards in the Columbia River appellation, near the tiny town of Taylor Flats. Named after the island located directly in front of it, Wooded Island’s 620 acres is located on 1.8 miles of Columbia River shoreline. Set alongside the Columbia River, they currently produce Syrah for Three Rivers.